It’s not an easy road for first-time racers in the Bridgestone World Solar Challenge, but you would expect that anything German-made with a Porsche badge would certainly be in the running. 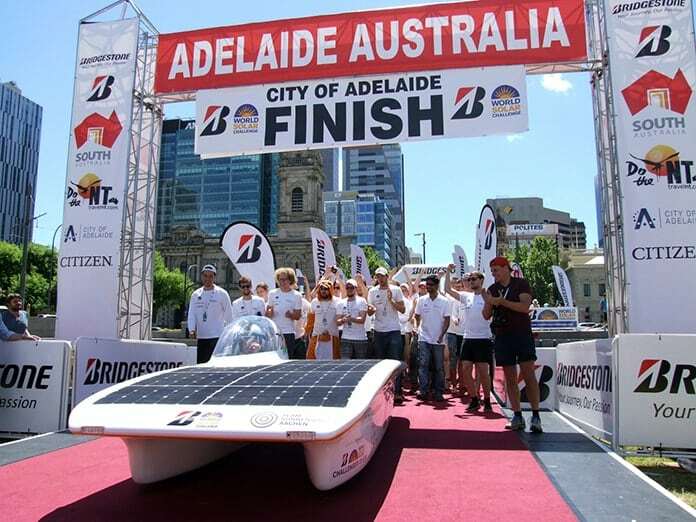 Sleek ingenuity came to the fore in this year’s 30th anniversary event in early October when the Netherland’s Nuon Solar Team Challenger Class vehicle won the gruelling 3,022km desert race, which crosses the Australian continent from Darwin to Adelaide, for the seventh time. 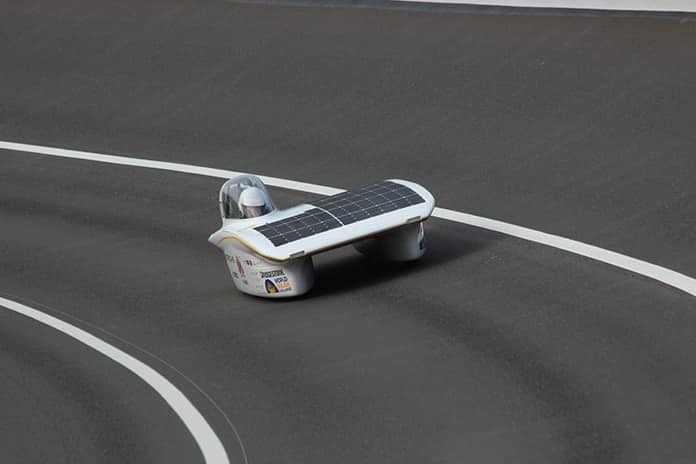 But while all eyes were on the Dutch, first-time German Team Sonnenwagen was quietly laying the foundations to be a real contender in the next bi-annual solar race through the desert in 2019. 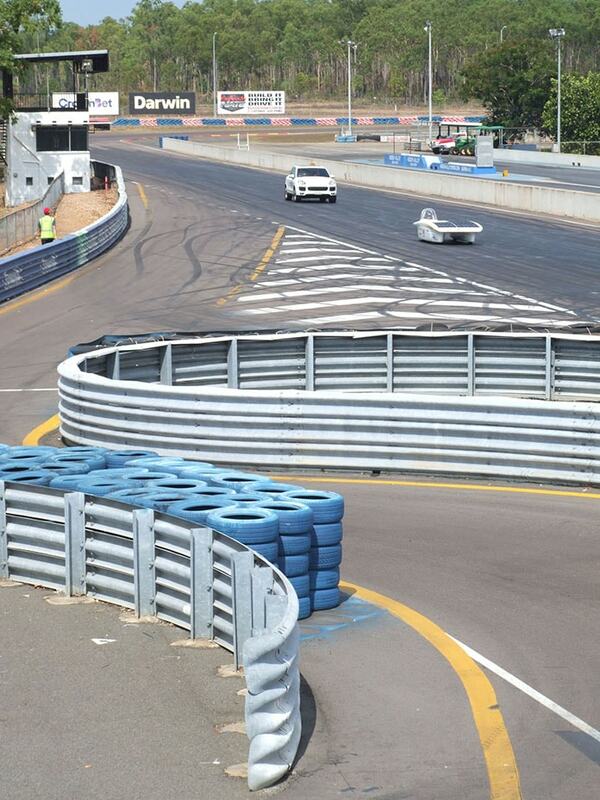 Sonnenwagen performed well in the prelude to the race, reaching 122km/h and clocking 2 minutes 15.9 seconds at an average speed of 76km/h in time trials at Darwin’s Hidden Valley race track. 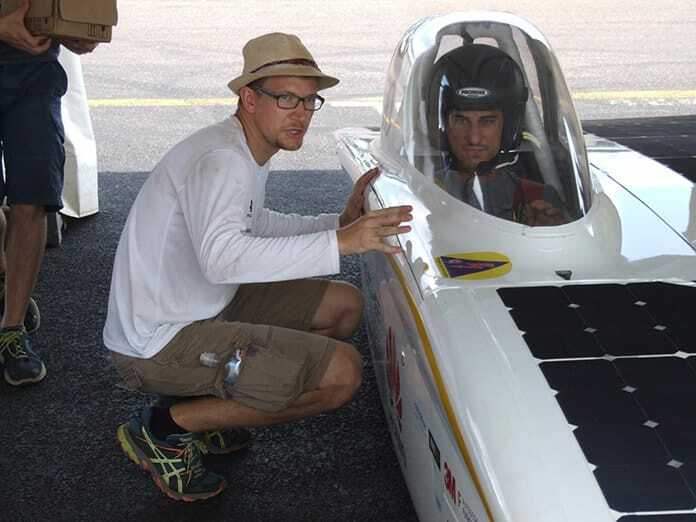 Coming fifth in the trials, it was an excellent result for the first-time racers and close on the heels of solar challenge veterans Nuon Solar Team in fourth place, whose Nuna9 lapped at 2 minutes 14.1 seconds at an average speed of 77km/h. The drivers had clocked Sonnenwagen at 130km/h and the young engineers knew it could go faster, but this race wasn’t about speed, it was about ingenuity and endurance. Major international companies saw the value of the Sonnenwagen project, convinced by the enthusiasm of inspired young engineering minds. The team managed to recruit 40 corporate sponsors, including German industrial leaders, international polymer and polycarbonate manufacturer Covestro and iconic motor vehicle manufacturer Porsche, which both came on board as Gold Sponsors, along with vehicle paint surface specialist PPG and Chinese telecommunications giant Huawei. Covestro would use Sonnenwagen as a “mobile laboratory”, protectively coating the shell of the solar vehicle with the aid of a new polyurethane curing agent, Desmodur, 70 per cent of which is made from biomass material – corn starch, derived from maize. Covestro is no stranger to backing technological adventurers. In 2016 it supported the Solar Impulse on its 40,000km flight around the world without burning a drop of fossil fuel. Solar Impulse, powered by 17,000 solar cells on a thin wingspan equivalent to that of a jumbo jet, was the brainchild of Swiss adventurers Bertrand Piccard and Andre Borschberg. A spectacular demonstration of permaculture thinking and clean technologies, the high-altitude flight required special insulation, developed by Covestro. A spin-off from German industrial giant Bayer, Covestro focuses on developing polymers and polycarbonates and new technologies that reduce the use of fossil fuels. It is involved in the development of polycarbonates in the production of wind turbine blades in China and is using carbon dioxide instead of oil as a catalyst (polylol) in the production of polyurethane foam, used in making mattresses, at its factory in Dormagen, Germany. Covestro says up to 25 per cent of oil currently used in the process can be replaced with carbon dioxide. The company is also supporting the United Nations Environment program, Young Champions of the Earth, providing $15,000 seed money to six young people aged between 18 and 30, to support projects of innovation to improve the environment. Huawei provided six-figure financial support and made available communications equipment, which kept the support team and its mobile monitoring system in constant contact with Sonnenwagen on the 3,022km journey, travelling front and rear in vehicles provided by Porsche. Porsche gave the Sonnenwagen team access to its Weissach Development Centre, its Motorsport Centre Flacht to research aerodynamics, electrical circuitry, airfreight logistics and team management, and took them to the FIA World Championship Spa in Belgium to study weather monitoring and racing strategy. “Just like us, the Aachen students will be pushed to the absolute limit… The key issues surrounding lightweight construction, cooling, efficiency, powerful electric drive and aerodynamics correspond with the requirements of our Le Mans victor, the 919 Hybrid,” said Porsche LMP Team Principal, Andreas Seidl. We want to play an active role in shaping the future of the sports car. To do so we need exactly this kind of young people, full of courage and pioneering spirit, who are willing to break the mould. What the 45-strong team of engineering students from Germany’s largest technology university, RWTH Aachen University, in association with Aachen University of Applied Sciences, lacked in experience, they made up for in enthusiasm. All aged in their mid-20s, with most in their last year of completing electrical, aerodynamic or mechanical engineering degrees, these are the world’s new generation of sun worshippers. But unlike the Aztecs, the sacrifice of Team Sonnenwagen was their own blood, sweat and tears. 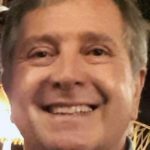 “We knew we would have difficulties competing with teams who have been in the solar challenge for 15 years and have very large sponsor networks,” said Team Sonnenwagen vice chairman, Niklas Kaltz. This is the challenge of a lifetime. Solar power and sustainable mobility are key technologies for the future. This is our small contribution to improving our world. It has helped us put our acquired knowledge into practice. For Niklas, e-mobility – the development of electric-powered drivetrains to shift vehicle design away from the use of fossil fuels – is a passion. Getting the Sonnenwagen (Sun Wagon) to the start line of the 30th Anniversary World Solar Challenge in Darwin took two years’ of lobbying for sponsorship, planning, testing and building, before the team even faced the humidity, heat, changeable weather and gritty winds of the long desert crossing. On race morning in Darwin’s State Square, team chairman Hendrik Lobberding was quietly confident. It was 7am and the rest of the team were having breakfast. The race would start for Sonnenwagen at 8:40am. Travelling at between 60km/h and 70km/h, the four drivers, armed with two litres of water, took four-hour shifts behind the wheel in a tiny, hot cabin with no air-conditioning, enclosed by a clear polycarbonate dome. They had harnessed the sun, but it also was their enemy. “The Sonnenwagen has a vent that lets fresh air into the cab, if you drive faster the temperature is quite okay, but if it’s really cloudy and you slow down, it gets really, really hot,” said mechanical engineer and driver Marc Locke. The road noise also was a major issue, with the endless hours of humming wheels on hot bitumen reverberating beneath Sonnenwagen’s sleek shell. And there were bigger distractions. The aerodynamics of the Sonnenwagen had been tested in a wind tunnel, but none of the young drivers had ever experienced the giant pull of air created by a passing four-trailer, 18-axle B-Double road train. At up to 53m long, with a maximum moving mass of 135 tonnes travelling at over 100km/h, the B-Doubles dwarfed the Sonnenwagen as it hummed down the highway. The team built the Sonnenwagen from scratch and only in the final months leading up to the race completed the critical power plant, a 1.4kW gearless, wheel-hub electric motor, the product of designers Marc Locke and electrical engineer Enno Dulberg. Weight was an obvious priority, the motor weighs11kg while the battery that stores the electricity to power it weighs 20kg. The motor is 98 per cent efficient in turning solar-generated electricity into traction. With the battery fully charged, Sonnenwagen has a range of 300km, a tenth of the distance from Darwin to Adelaide. As it took shape, Sonnenwagen became a thing of sleek beauty, more than fitting to wear the badge of Porsche. At 4.3m long, weighing 216kg, with a 260-cell solar panel covering 4 square metres providing a peak output of 920 watts, Sonnenwagen has a maximum speed of 140km/h, an average speed of 70km/h and consumes 1.8 kWh/100km. Of the 38 teams that fronted the starting line in Darwin for the 30th Anniversary World Solar Challenge, including 13 in the rechargeable Cruiser Class and 2 in the non-competitive Adventure Class, due to technical problems or failure to make check points, 21 entries had been downgraded from the competitive Challenger Class to Adventure Class by the time they reached the finish line in Adelaide, with Sonnenwagen coming in ninth out of a field of 23 vehicles. “We had a lot of trouble with the weather from Day 2 to Day 4, we had cloud cover and some quite heavy rain,” said Niklas Kaltz. On Day 5, with nine tenths of their journey behind them, Team Sonnenwagen missed the check point at Coober Pedy, 194km north of Adelaide, by ten minutes. “That placed us in the non-competitive Adventurer Class, but we still finished,” said Niklas. “I think the journey changed our lives, it built character. Everybody really developed. It’s definitely made us better engineers,” he said. 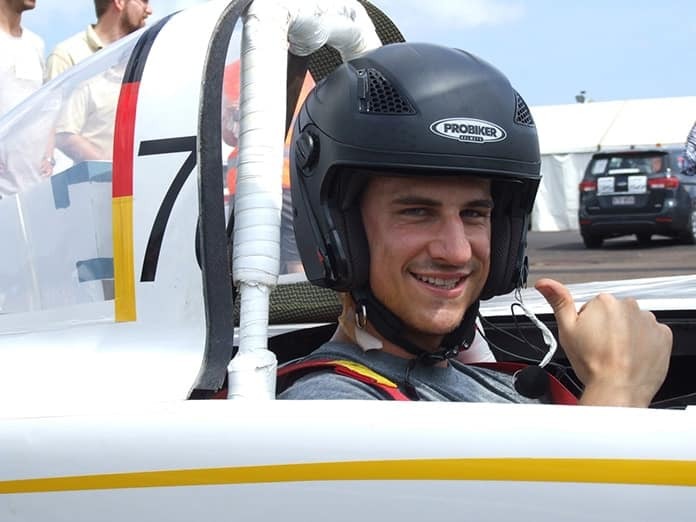 Aachen University’s Sonnenwagen will compete in the next World Solar Challenge in 2019, said Niklas, with a new team of bright young engineers.